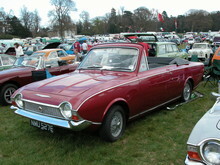 The Corsair had been relatively successful for Ford and so it was decided to develop the range to include a new engine. 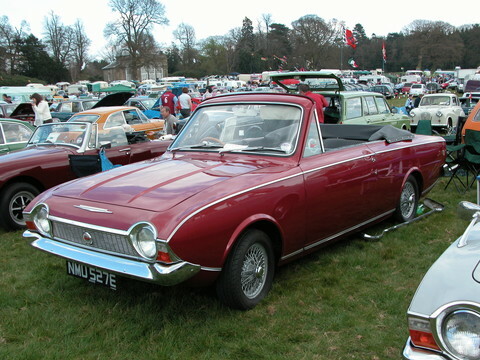 The 1965 Corsair range used a brand new V4 engine, a first for Ford and an unusual choice of engine layout. 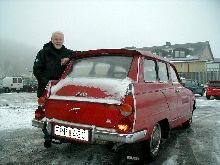 Although the standard V4 Corsair developed more power than the previous four cylinder car it was decided to offer an even more powerful Corsair V4, GT. Like the previous GT model the new Corsair GT used more comprehensive instruments and better trim to highlight its sporting aspirations. Power output for the GT was quoted as 88bhp, a useful 12bhp increase over the standard car but not as powerful as the 2.0 litre 2000E model that was to follow.